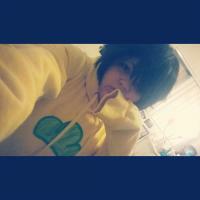 Adimatsu Avidan updated his profile photo. Adimatsu Avidan updated his profile information. ok but like.........am i the only one who gets the urge to put on a cosplay and then realizes i haven't even ordered any of it yet because that's been happening to me for months??? like i keep thinking "i'm gonna put on my hinata shoyo cosplay!" and then i stop for a second and remember that i haven't gotten any of it yet and i get mildly upset over it?? ?